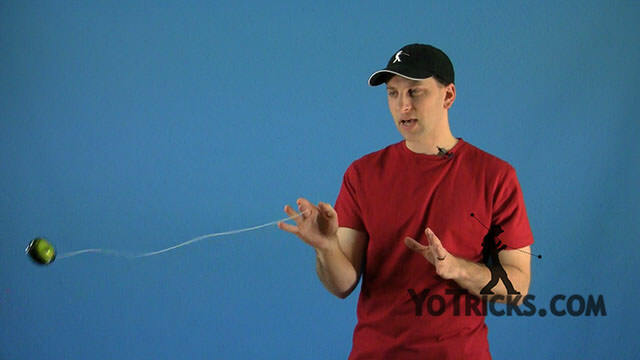 Learn how to do the Two-handed Crossover Loops yoyo trick. 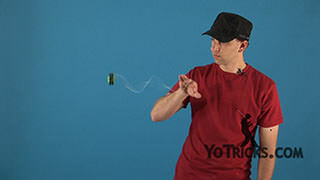 Crossover Loops Yoyo TrickThis trick is your Two-Handed Crossover Loops and they look like this: you are just going to be doing your two-handed loops and then you are going to crossover with one hand and continue to loop. That is pretty much the trick but there are a couple of variations that can really take this trick over the top but first we need to work on the basics. Obviously, if you are going to want to crossover your loops that means you are going to have to be looping here and you are going to have to be able to change direction and loop all the way over here. 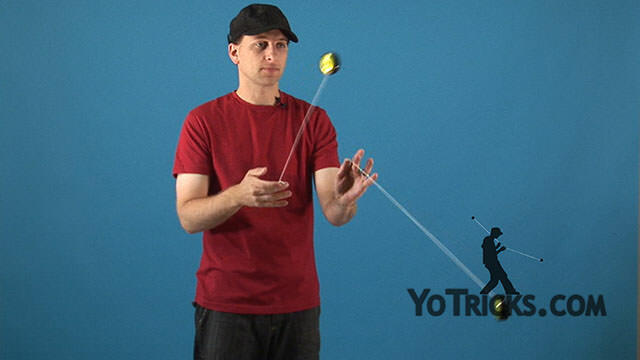 When I was first working on this what I decided to do is I would stand in front of a pole and, you know if it is right in front of you when you throw your yoyo out you are going to hit it, and so what I would do is I would loop on either side of the pole. So it would be right there, and then I would change my loop and try to bring it over eventually you would get better so that you could go on either side of it. 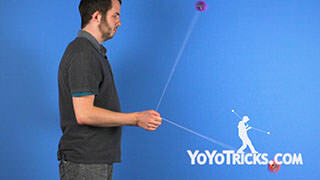 That is a nice way to do it where you do not have to worry about hitting yourself too much. 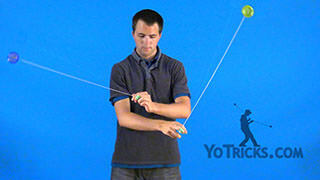 Once you’ve got that you can also loop on either side of your opposite arm. So you can just bring it over the top like this. 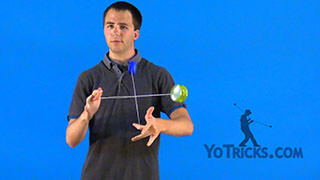 Once you get that then you are ready to do both yoyos at the same time. 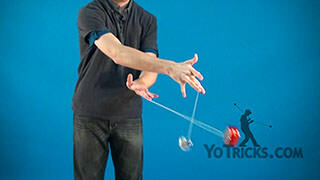 The first couple of times you try this don’t be worried, if you just kind of lose control or something. I remember the first time I was doing this I tried to bring my hand over and for some reason my left-hand just decided to do an Around the World. 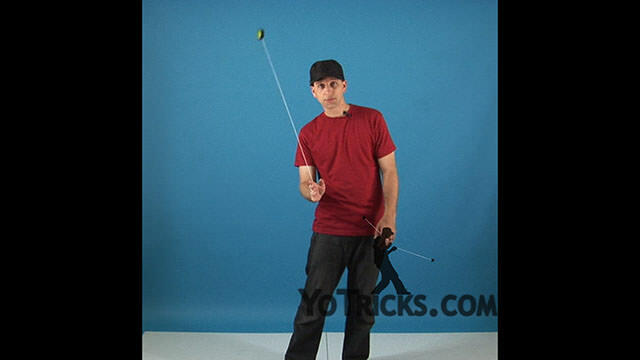 I have hit myself a ton of times doing this trick, that is just part of the process. 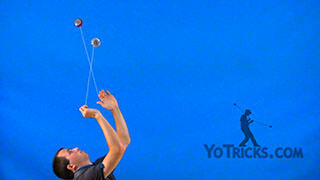 That is what it means to be a yoyoer and work on some of these more difficult tricks. 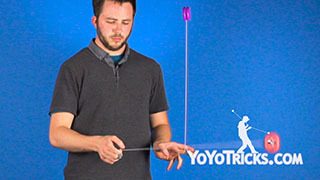 Just keep working on it because this is a really impressive trick once you get it down. So, like I said, all you are going to do is you are going to bring one hand over the top, and you are going to keep looping. If you notice, my hands are actually separated, just a little bit. You can see that my right hand is pretty far over the top of my left-hand. 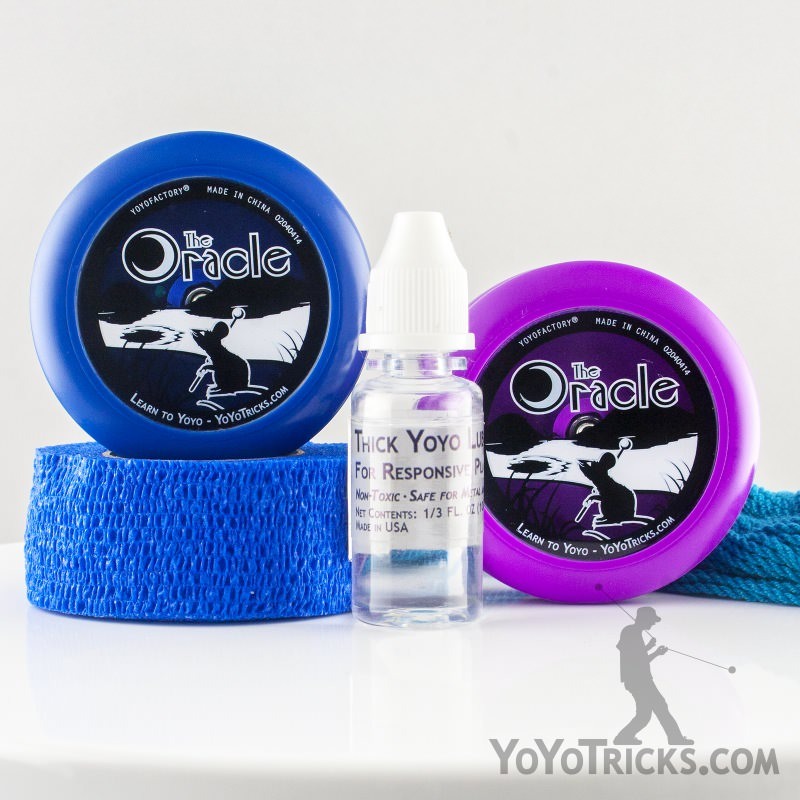 That actually allows you to keep your full range of motion when you are doing the loop. 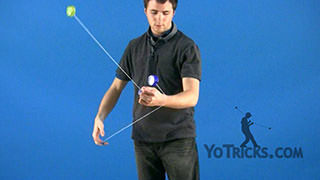 If you bring them together a little bit too much you have to change the way you loop, and that can make the trick more difficult than it really needs to be. 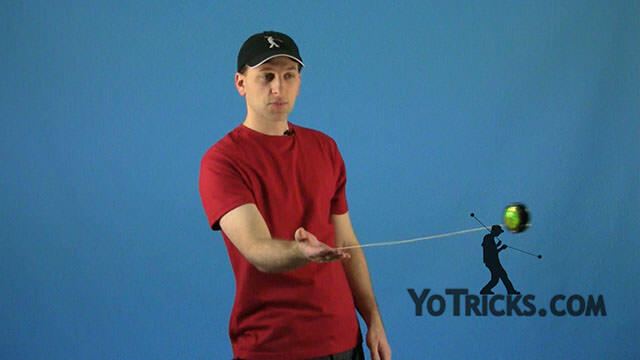 So that is one thing that I recommend bringing you hand really high over the top, and lowering your other hand just a little bit and that should make it a little bit easier to learn at first. 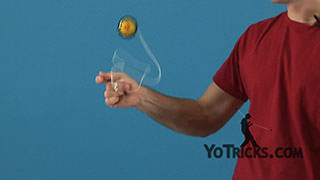 That will give you more room when you are doing the tricks. 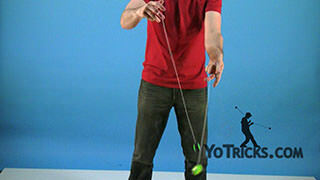 Once you have got that down you can continue to loop on the other side of your hand like this. 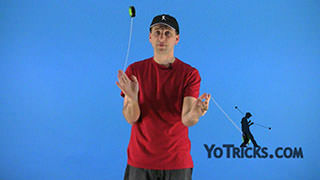 What I recommend is just going back and forth to really perfect the trick, because if you can do this then it shows that you really have control. You can do this with your opposite hand too, once you get that down. 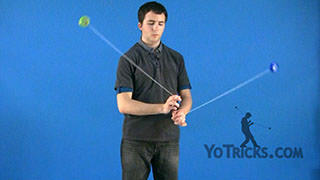 Once you have that type of control, then you are ready to start doing some of the variations. 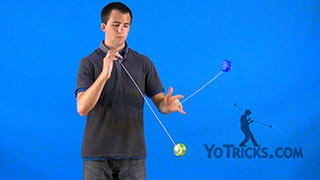 So, the first one is just to crossover with one hand and then to crossover with the other hand. So that just looks like this: you are just going to go right-hand over, bring it back, left hand over. Just as simple as that. 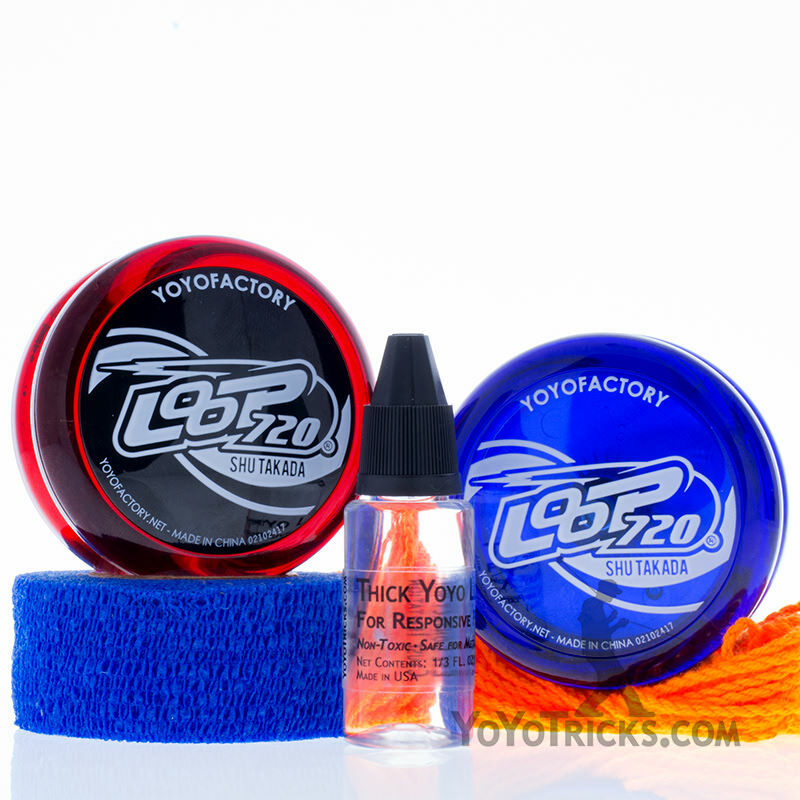 Once you get a little bit better at it you can do the crossovers faster: so just over, over. Just like that. It is as simple as that. If you really do it fast, the way that I just did, then that looks really impressive, especially if you are in a routine. It looks like you have a lot of control, because you really do. 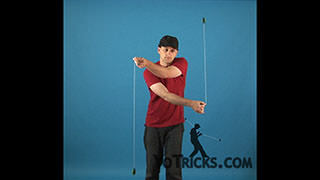 If you are keeping your arms separated, you can do another variation. 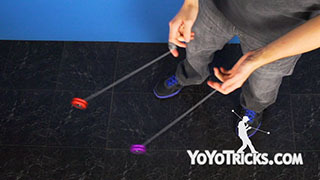 You can actually crossover looping at the same time. 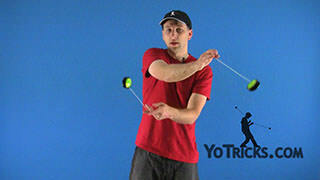 That is another nice variation that you can do. Once you get better at that, you can go fast, you can go back and forth. So don’t be afraid, if you hit yourself a couple of times just get back up. The bruises will heal. 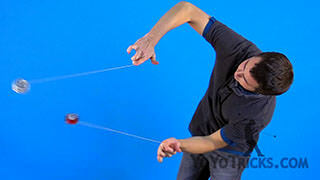 These yoyos are not that heavy. So, just work on it. Those are your Two-handed Crossover Loops.